Call Us 407-979-4944 and join the Phenix Family today! Phenix Salon professionals are living the dream of owning their own salon, so you can bet they're excited about their work and motivated to provide the best service available. And because your stylist works for herself, no one but you is telling her what to do. There are no tyrannical salon bosses ordering her to push a product or service. Supported by the Phenix Salon family, your stylist has access to FREE professional training by our Phenix National Education Team. That's another reason stylists chose Phenix, so they stay current on the latest techniques. They also have access to a superior line of luscious hair colors through Phenix and an exclusive selection of Phenix hair and skin care products. And wait till you see the 2015 Phenix Hair Collection, created by our International Artistic Team of Phenix stylists. This is the place. 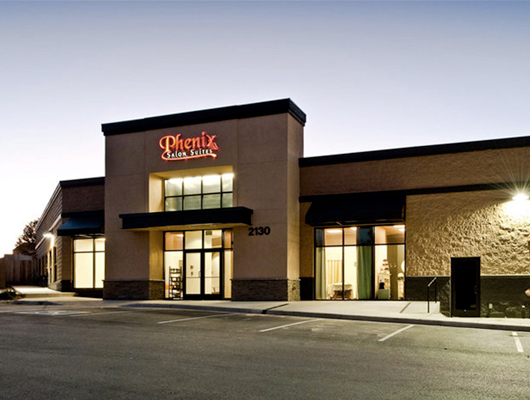 Founded by a family of Salon Professionals with over 85 years of Salon Industry experience, Phenix Salon Suites is poised to be the premier provider of Salon Suite concepts throughout the United States and Internationally.